Editor's Note, June 14: The User 1/Dynamic setting on the BenQ W1100 produces more lumens than the regular Dynamic preset. We have edited the maximum lumen output in this review accordingly and apologize for the error. The BenQ W1000 was one of the first 1080p projectors available for less than $1000. Now, their new 1080p projectors, the BenQ W1100 and BenQ W1200, add affordable options for home theater, home entertainment, and video gaming. These projectors offer performance above average for their price, with vivid, accurate color reproduction and brilliant, sharp images. Despite some quirks, the W1100 and W1200 are excellent performers for $1299 and $1499, respectively. Due to the fact that they are two versions of the same basic projector, we've included them both in one review. 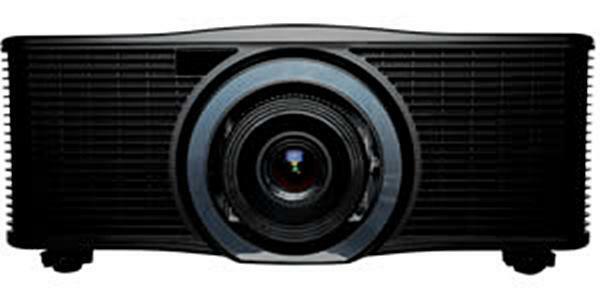 The W1100 and W1200 are light, bright 1080p projectors intended for home entertainment and movies. At just 7.9 lbs, they are downright portable as far as home theater projectors go. The two projectors share the same casework and use the same lamp. They use the same remote control. However, there are some important differences which make these two projectors better suited to different applications. The W1100 is perfect for video games and home entertainment. It's bright, for one, producing almost 1100 lumens once optimized for video. After some fine-tuning, color reproduction is pristine. Shadow detail is very good, making the picture appear very three-dimensional, but black level is not quite at the level of other projectors in its price range. The W1100 is brighter than the W1200. And it transfers frames from the buffer faster than the W1200, making it a better choice for fast-paced video games. It does not look too shabby with movies, either, but the W1200 has some specialized features which make it a better choice for cinema use. The W1200 is essentially a W1100 with lower brightness, better blacks, and frame interpolation. Black level and shadow detail are superior to the W1100, with dark scenes appearing darker and subtle shadow gradations better defined. Color is more accurate both before and after calibration, and the picture as a whole appears more natural in part due to this difference. The W1200 also has a Frame Interpolation system, which is helpful for video, animation, and sports. The FI system introduces some artifacts which make it less attractive for film use, though many users may feel the smoothness it introduces is enough of a benefit to render the consequent artifacts acceptable. Both projectors use the same lensing: a 1.5:1, fixed throw angle, manual-adjustment lens. This lens can project a 120" diagonal 16:9 image from 12' 2" to 18' 9", enough to cover the majority of installations. If you are trying to use the projector in a small 10' bedroom, you'll be limited to around a 98" diagonal, but this is still a pretty big image for such a small room. The projectors have a 34% upward throw offset, meaning that the bottom edge of the image will appear 34% of the image's height above the centerline of the lens. On a 120" diagonal image, this is a 20" offset. Remember to take this offset into account when planning your installation. When it comes to mounting, ceiling mounting is the most professional-looking option as well as the most natural due to the fixed throw angle. Both projectors have cases which are mostly white, so they will blend into the typical ceiling very well. They can also be used on or under a low table between the seats; this reduces the cost and complexity of installation by obviating the need for long-run cables and the ceiling mount itself. One must be careful not to block the intake or exhaust vents, however, as they are found on the left and right sides of the projector. An enclosed space will cause the projector to overheat rapidly and could cause a shortening of the lamp lifespan. Does the W1200 use or rely on a Dynamic Iris? Does it feature a DarkChip 3 like the Mitsubishi HC4000? So a decent sized screen (120"), with a standard 8 foot ceiling will be about 7 inches off the floor. difficult enough to make cheap DLP's work in a room. Why oh why do manufacturers go with such a large offset (same situation with the Mitsubishi 4000). ?Break out the bean bag chairs! Will the w1200 be too powerfull (light output) for a 72" gray (gain 0,8) screen? If yes, what would be a good match for this screen in the same pricerange as the w1200? How does the BenQ W1200 compare to the Epson EH-TW3600 seeing that they cost more or less the same. Both machines will be used most of the time to watch blue-ray movies and sport. Have read all the comments above and would like to point out that BenQ's Marketing and certaily next to non ar far superior and the product's are sold at an extremely competive price like for like and so what you pay out for is of a very high standard, in saying that the Quality of the product is far more advenced , I believe than most if not all the other manufactures. I have purchesd and used with excellent results equipment that is far superior than anything, always exceptional in the specification, giving a product that may appear like the others of similar price but in fact far superior. I was wondering if you could comment on the capabilities of the PiP feature, such as whether or not 2 HDMI sources can be displayed (cable TV and a PS3 for example), and what customisation is available to you? I ordered the W1200 and installed it on 01/03/12 the fit was perfect, and it out performed my Optoma H31. The Bluray quality is amazing however Direct TV w/component is grainy. My HD receiver is set on 720p, but perhaps I need an HDMI. I've owned my H3 for 6yrs and after 3mos of research $899 got me a new W1200. I bought the BenQ W1100 projector and shipped it to my son in Seoul Korea. It worked fine for 2 days then froze up and shut down. The lamp and fan works but no picture. I am thinking it may need to be re-flashed. Where can I find the download for the re-flash?